Surgical technologists prepare operating rooms and patients for surgery including setting up instruments and washing and transporting patients. In addition, they may assist the surgeon during the operation by passing instruments, holding retractors, or handling specimens. Completing a certificate or two-year college program in surgical technology is required to obtain one of these positions. What is the Average Salary For A Surgical Technologist? What Courses Should I Take To Become A Surgical Technologist? 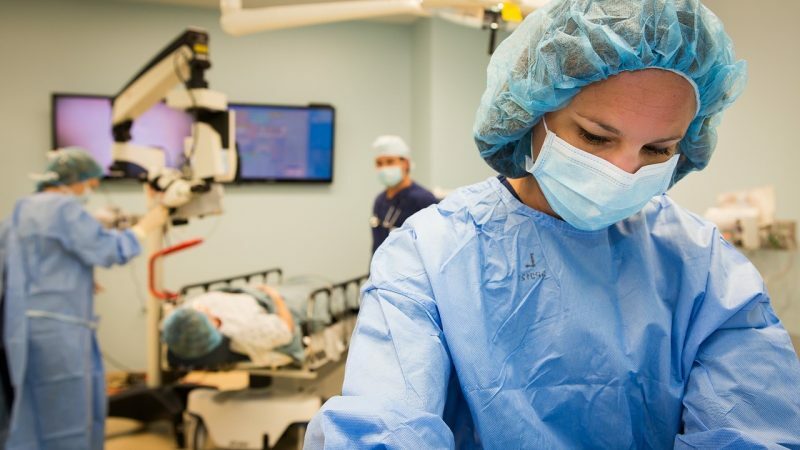 What Is The Work Environment For A Surgical Technologist? Surgical technologists typically work in hospitals, but some may work in surgical centers or doctor’s offices. At times this job may be physically demanding because it may require moving patients around and standing for long periods of time. What Is The Future Outlook For A Surgical Technologist? What Degree Should I Consider If I Want To Be A Surgical Technologist?